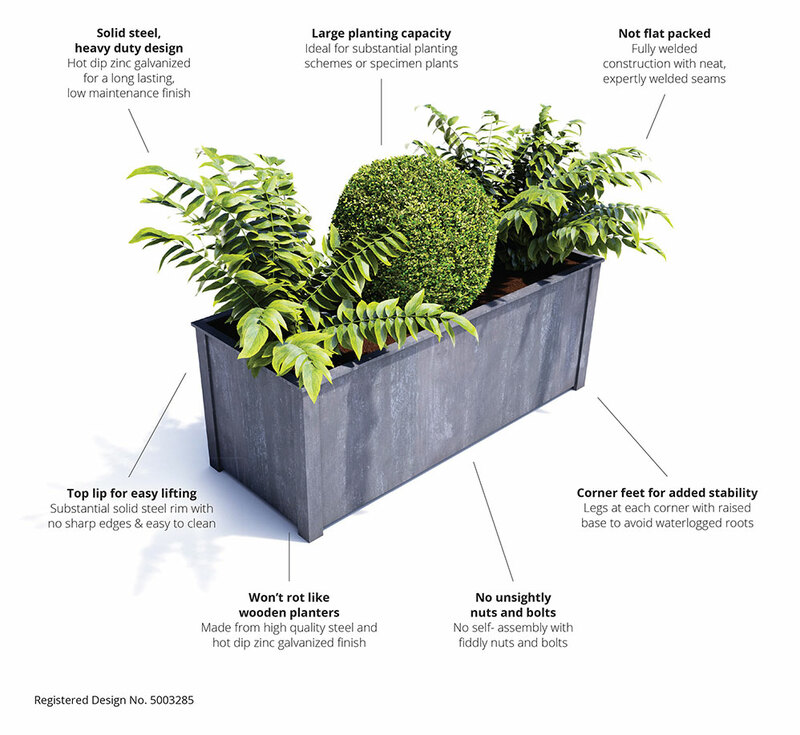 This large steel trough is ideal for large planting schemes. 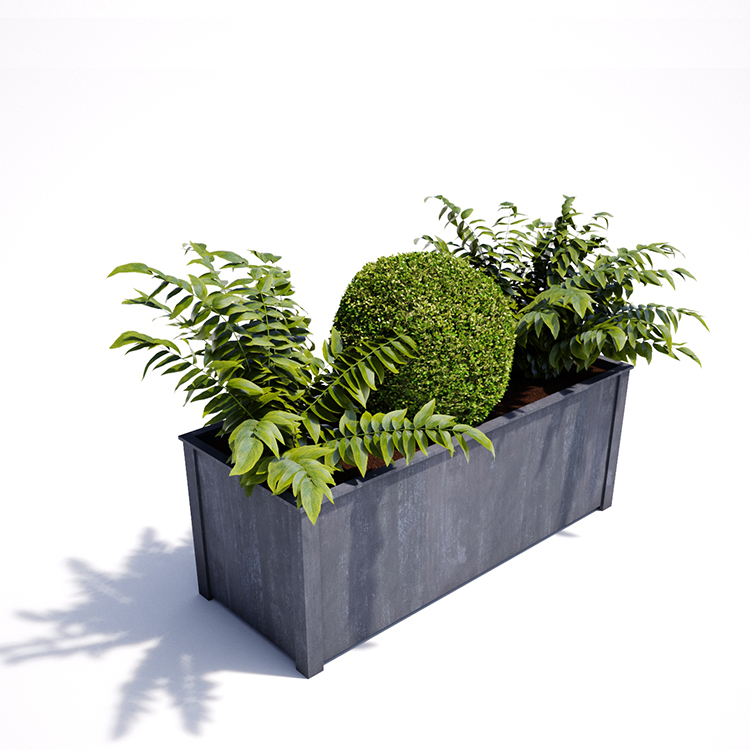 Made by us in Bath, the planter trough is zinc galvanized for a long lasting, low maintenance finish. The legs, raised base and drainage holes ensure plants don’t become waterlogged.